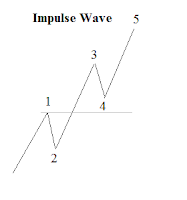 This article was syndicated by Elliott Wave International and was originally published under the headline Reviewing the Basics of the Elliott Wave Principle: The Impulse Wave. EWI is the world's largest market forecasting firm. Its staff of full-time analysts led by Chartered Market Technician Robert Prechter provides 24-hour-a-day market analysis to institutional and private investors around the world.